"Bad spellers of the world, UNTIE!!!" Thanks for visiting my site! 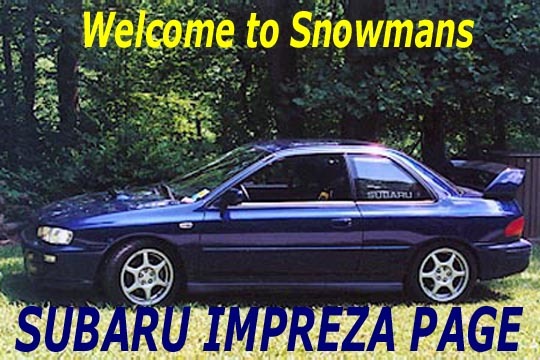 I have put this page together, to showcase my car and to help provide others with links and information about the Subaru Impreza.